Take a moment to think about your washer and dryer, refrigerator, range, dishwasher, microwave and garbage disposal. These are the appliances that make your life easier every day, and they represent a significant financial investment. Buying them is costly enough, but repairing them when something goes wrong can also set you back financially. That may lead you to wonder if it would be a good idea to purchase the extended warranty at the same time you buy your appliance. As you might guess, the answer is not a simple one. In general, you need to ask yourself three questions. First, how willing are you to live with risk? Having a protection plan can minimize the low-grade anxiety that comes with wondering if your dryer will stop tumbling or if you will need to pay for a major stove repair that you could have had covered by a warranty. Second, ask yourself if the product is likely to need repairs within the extended warranty period? For example, some machines such as refrigerators tend to need more maintenance. Third, think about the original investment you made in the appliance. If it was relatively small, you might ultimately prefer to buy a new one rather than risk a potentially shoddy repair on a device that may now be obsolete or replaced by more energy-efficient or feature-packed models. Another important factor to keep in mind is that most extended warranties cover manufacturer defects only. They do not protect you against the ravages of wear and tear. Note, however, that certain plans do help you in case of accidental damage, which is the most commonly requested type of repair. In addition, don’t fall under the misconception that you can call in a repair company during your warranty period and ask for a simple checkup. In most cases, only unexpected defects are addressed under these extended service plans. When considering whether to buy this extra coverage for your appliances, it is important to understand its parameters. Most extended warranties cover the cost of parts and labor for an electrical or mechanical failure in your appliance that happens after the standard warranty period is up. For instance, an extended warranty would cover the cost of your stove repair if your heating element stopped working properly. That being said, the reality is that most breakdowns don’t occur during the extended warranty period. Even if they do, you would pay only $16 more on average for the stove repair than you paid for the extended warranty itself. 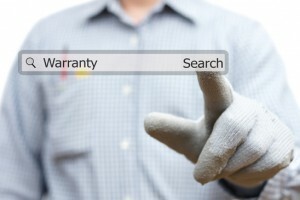 Furthermore, an extended warranty-related repair can take a while to accomplish, usually one visit for diagnosis and a second for the actual installation of new parts and any other repairs that need to happen. If you do decide that you want this type of appliance protection, there are several avenues to pursue in addition to buying an extended warranty at the time of purchase. All of the major credit card companies offer extended warranties as well as short-term accident coverage. Just be sure that you read all of the documentation carefully and save all of your paperwork for future reference. Your homeowners insurance may also cover your appliance against accidental damage or the need for repairs. Finally, if you bought it at a big box store such as Costco, inquire to see if the retailer can offer you any kind of additional protection. Considering whether to spring for extra protection for your appliances is more complicated than you might think. Carefully weigh the pros and cons before you make a decision, keeping in mind that the warranty usually needs to be obtained right when you buy the appliance or sometimes within the first 30 days. Finally, tape all warranty-related paperwork to the back of your appliance or store it in a file cabinet with your other important papers. If you ever need to consult with a repair company, you will need this documentation as proof. That is the best way to make your extended warranty work for you and the best way to protect your entire array of pricey kitchen and laundry appliances.